Click here to read the official rules for the 2018 IPC and Click to submit, via Withoutabox. Use the links below to explore the various aspects of submitting to the IPC. For more details, check out the Submissions F.A.Q. here or Ask the NYTVF. All pilots must have a total running time of between 4 and 60 minutes. For additional information and recommendations on running times (including unscripted sizzle reels and short-form series), see FAQ. Payment can be submitted through Withoutabox.com. 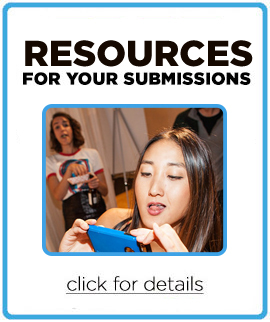 Projects created or funded by U.S. broadcast or cable networks are ineligible to compete in the Independent Pilot Competition but may be submitted to the NYTVF for consideration as a specialty screening. Projects that have received artistic/educational grants or development funding are eligible, provided the submitter holds all distribution rights to the project. If you have questions about eligibility, please email ask@nytvf.com. Foreign-language programs must have English subtitles or be dubbed in English. The New York Television Festival “Independent Pilot Competition” accepts entries beginning on January 2, 2018 and ending May 1, 2018. Artists are permitted to submit multiple entries to the competition. All entries must be received no later than 11:59 PM on May 1, 2018. Final notification for all Official Selections to the Independent Pilot Competition will be made on or around June 15. All projects must be submitted digitally through Withoutabox. Click HERE to submit, via Withoutabox. If your project is selected as an Official Selection, you will be required to mail in a (roughly) 1-minute trailer along with digital files of your project. Reminder: All entries must be submitted by the Procrastinator Deadline. Have questions? Email us at ask@NYTVF.com. GOOD LUCK!